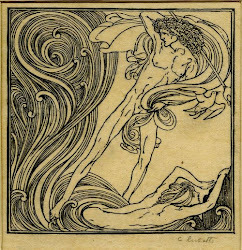 Bonhams in New Bond Street, London, issued a catalogue for their auction of 8 May, when the third part of The Roy Davids Collection of poetical manuscripts and portraits of poets will be on sale. Davids owned one or two manuscripts of almost all important English poets, and he also collected portraits, photographs, drawings, engravings, and a few paintings. 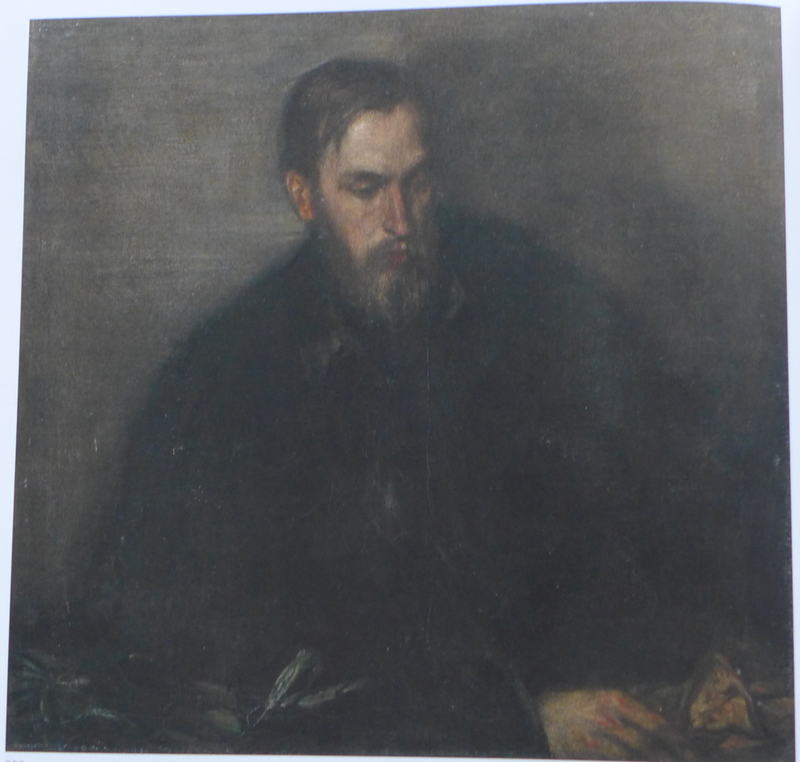 One of the items in the sale is a large portrait of the poet and artist Thomas Sturge Moore (75x67 cm) by Charles Shannon. 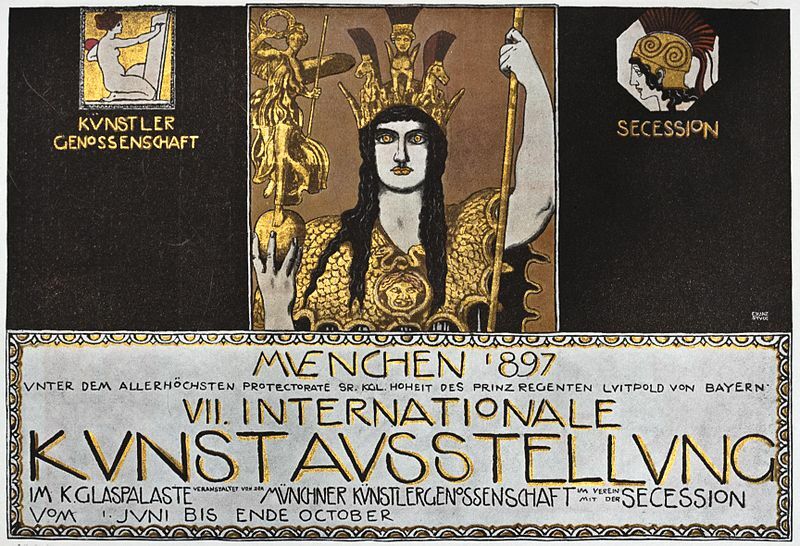 This portrait is known as 'The Man with the Yellow Glove' and it was awarded a gold medal at the International Exhibition at the 'Glaspalaste', the Royal Chrystal Palace, in Munich, in 1897. 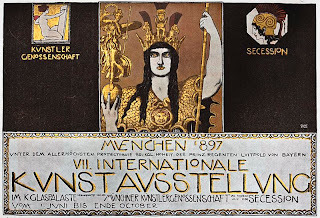 This was one in a series of exhibitions of the Munich 'Secession' for which Franz von Stuck had designed the poster. Shannon had sent one other painting to Munich, 'A Wounded Amazon'. When the portrait of Moore was returned, Shannon wrote in his diary that it was 'rather too black', and that it seemed to be 'more dark than when it went'. Around the same time, Shannon finished a self-portrait and a portrait of Ricketts, having similar titles: 'The Man in a Black Shirt' and 'The Man in the Inverness Cape', now both at the National Portrait Gallery. The portrait of Thomas Sturge Moore in its original matt gold frame formerly belonged to Colin Franklin (1923), a writer, bibliographer, book-collector and antiquarian bookseller, before it passed into the collection of Roy Davids. Davids was a writer of biographies of members of parliament, before he came to work for Sotheby's as a cataloguer of manuscripts. He worked for the auction house from 1970 until twenty years later, when he started his own business as a manuscript dealer (the Roy Davids Ltd. website has not been updated since 2007). Since 2005, Davids has been selling his collection in parts, not because 'he has shrugged off the collecting bug, nor is he close to death' (as was written on Paul Fraser Collectibles), but 'partly because I have to do something with it', as Davids says in a video presentation. He believes that the manuscripts should return to the market. The first part of the Davids collection was sold in 2005, the second part in March 2011, the third part will be on sale on 8 May 2013. Note: The painting was sold for £4,550 inc. premium and tax.